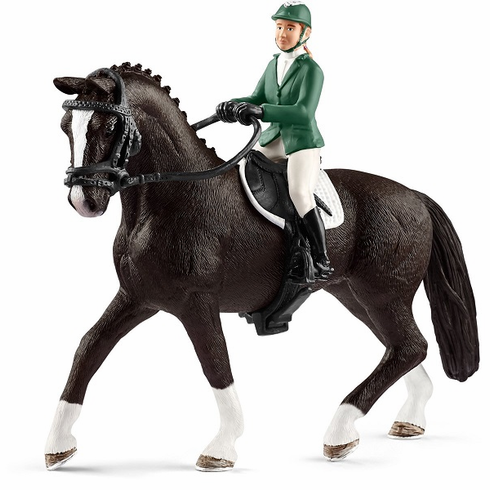 Schleich - Showjumper w/ Horse. This showjumper has long harboured a very special dream: to win a big horse show. She has bought a new jumping saddle specially. It is longer and wider than other saddles and is thickly padded so she has a secure hold when landing from a jump. That makes training even more fun! The Showjumper w/ Horse measures approximately 7.1" tall.